Cast Holly Bronze Plaque color 6" x 8" with Raised Double Border and recess area for a 5 x7" Exterior .040" thick Anodized Aluminium Plate. 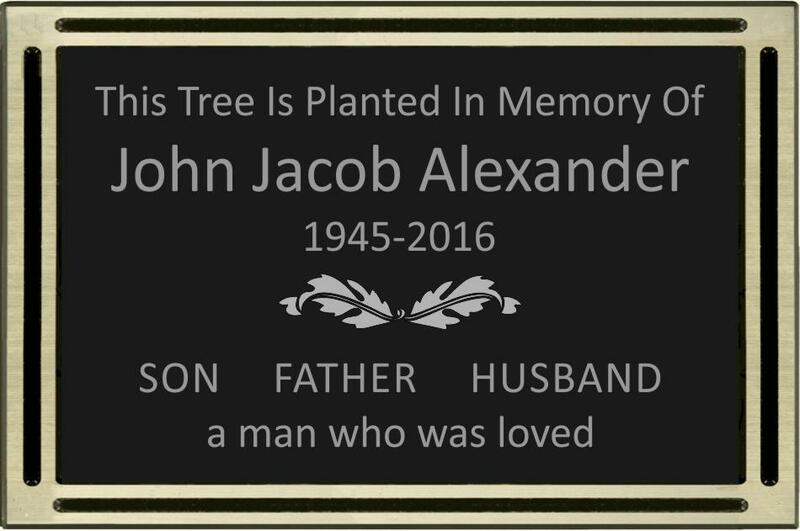 Flat back plaque for mounting on flat surface (stainless steel screws included).Great for Nature Trails, Botanical Gardens, Playground Dedications, Dedication Garden plaque and/or Donation Plaques. Great plaque for mounting on brick walls, stone, fences.